Using recycled paper and wire I try to capture the delicate detail and beauty found in nature. 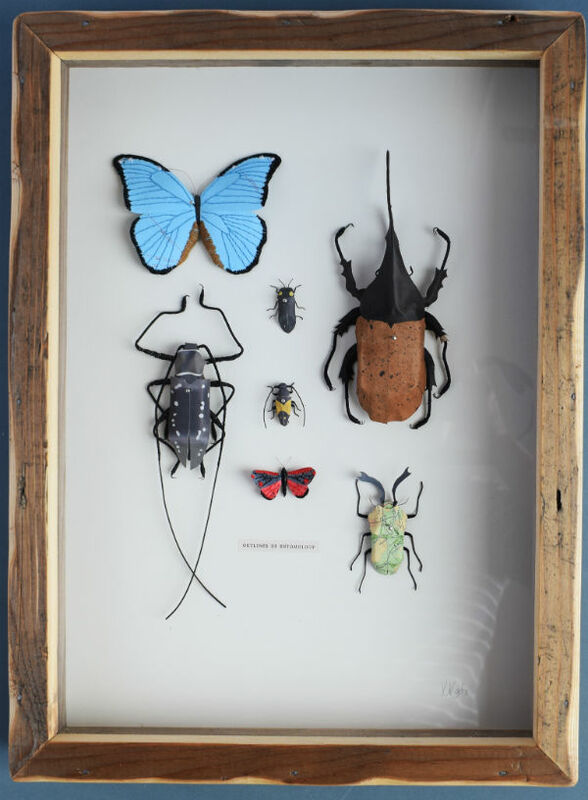 I create intricate, life-sized sculptures and arrange them into collections and dioramas which aim to document different species and encourage a curiosity for our environment. I use a range of techniques to create my sculptures including carving, wire work and embroidery. I completed my BA in Graphic Design at UWE England in 2006 and worked as a graphic designer creating printed designs for marketing. In 2014 I moved to the Welsh Borders and established myself as an artist, developing my paper sculptures.